The main thing that all parents are concerned about with car seats is that it keeps their children safe. 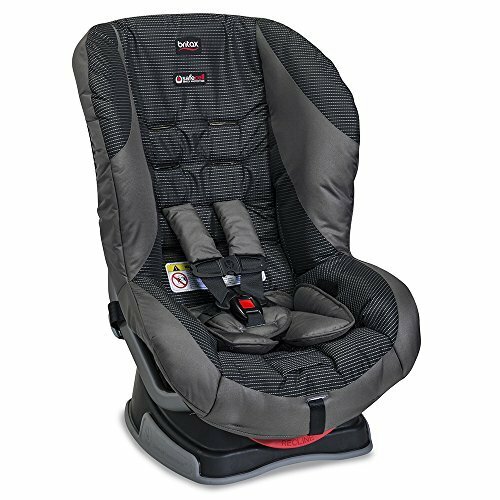 The Britax Roundabout G4.1 Convertible car seat incorporates all the best safety features from the expensive Britax seats, but at a much more affordable price tag. As with all convertible car seats, the Roundabout is designed to accommodate your child from infancy all the way through the toddler years. Although the Roundabout still accounts for a child’s growth, it is a much lighter seat than others on the market. The weight makes the seat more portable and easier to install. On top of all the other excellent features, the Britax Roundabout comes from the number 1 safety brand for all car seats. There is a reason that this car seat is one of the “best value” picks for BabyGearLab with its Britax specific SafeCell impact protection. Britax seats often receive high marks for safety and the Roundabout G4.1 is no different. The frame of the seat is made from steel, which makes it durable and impact resistant. Although the frame is durable, though, the seat is well padded which makes it a comfortable pick. As with all convertible car seats, the Roundabout G4.1 allows you to keep the same seat from infancy all the way through two years old. In some cases, this universality can lead to poor fit, but for a convertible car seat, the Roundabout G4.1 holds up well to its more expensive counterparts. One alternative to the Britax Roundabout G4.1 is the Graco My Ride 65 LX convertible car seat. Coming in at around the same price range, it has some similar features. While the SafeCell technology is a Britax only feature, the My Ride 65 LX has good safety rating as well. The frame on the My Ride 65 LX, though, is made of plastic rather than steel, which can be less resilient. The Evenflo SureRide DLX convertible car seat is another good alternative to the Roundabout G4.1 at around the same price point. It also boasts some of the same features as both alternative seats. While the SureRide DLX has many of the same features, it does seem to be easier to adjust than the Roundabout G4.1. While the Roundabout can be difficult to tighten correctly on small children, the SureRide DLX has great ratings in this area and is comfortable as well. One place where the alternative seats may have a leg up on the Roundabout G4.1 is in the weight restrictions. The Roundabout is rated for children up to 55 pounds, but the other two options are each rated up to 65 pounds. This allows children to stay in their safe car seats for a little longer. Although the Britax Roundabout G4.1 does have some drawbacks, when compared to similarly priced items, it falls into the top tier. 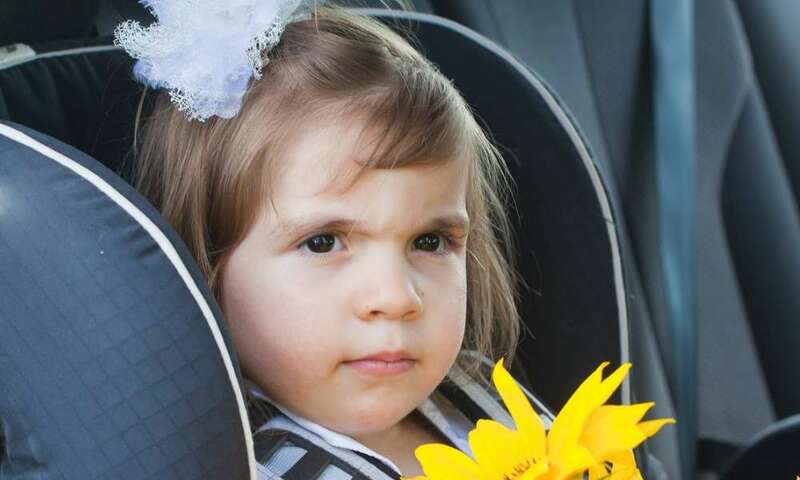 While other convertible car seats in this range have many similar features, the Roundabout G4.1 definitely comes out on top in the safety as well as the ease of use categories. The recent studies by the American Pediatric Association suggest that children should be in rear-facing car seats until age two. The Britax Roundabout G4.1 is rated for rear-facing up to 40 pounds, so that gives the child a decent amount of time. Some other seats do outdo the Roundabout G4.1 in the weight restrictions, but that can also lead to uncomfortable positions for the child. The Roundabout G4.1 has a good mix of both safety concerns and usability. Despite some missteps such as the flimsy cover and the difficulty tightening the straps, the Roundabout G4.1 comes through where it counts. The safety features really shine on this car seat and make it an excellent choice for a convertible car seat. Just want to say your article is as amazing. The clarity in your post is simply spectacular and i can assume you’re an expert on this subject.